The number of Americans filing new claims for unemployment benefits fell more than expected last week, indicating the labor market was strengthening despite a run-up in applications in prior weeks. 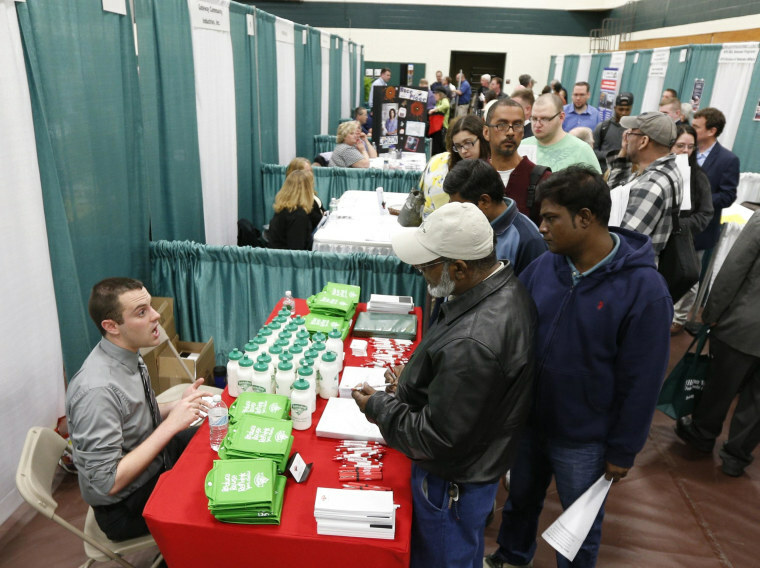 Initial claims for state unemployment benefits declined 26,000 to a seasonally adjusted 319,000 for the week ended May 3, the Labor Department said on Thursday. The decline snapped three straight weeks of increases. Economists polled by Reuters had forecast first-time applications for jobless benefits falling to 325,000 last week. Claims are volatile around this time of the year as the timing of Easter and school spring breaks can throw off the model that the government uses to smooth the data for seasonal fluctuations. The four-week moving average for new claims, considered a better measure of underlying labor market conditions as it irons out week-to-week volatility, rose 4,500 to 324,750. Despite the increase, the four-week average remains at levels consistent with an improving labor market. The labor market is firming with employment growth averaging more than 200,000 jobs per month in the first four months of the year. Employers in April added 288,000 jobs to their payrolls, the most since January 2012. The claims report showed the number of people still receiving benefits after an initial week of aid fell 76,000 to 2.69 million in the week ended April 26.